There are days when I don't feel obligated to get all dolled up and go out someplace. On these days, I choose from a large selection of DIY deep conditioners that I've concocted and spend a few hours lounging around while my scalp soaks it in. 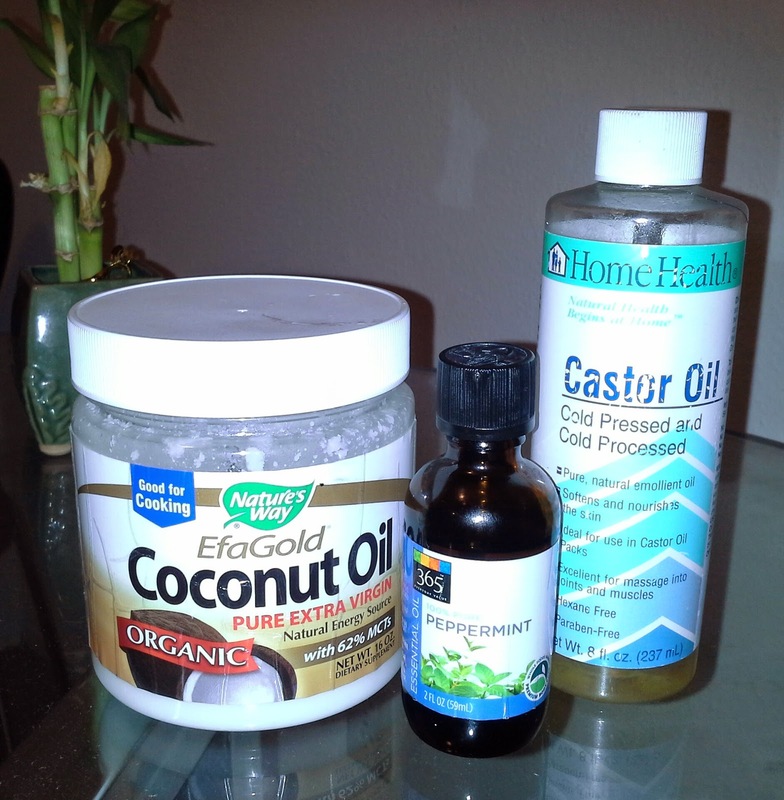 As well as store bought products, I also love to use natural oils to give my hair some TLC. My go-to deep conditioner has been a mixture of castor oil, coconut oil and a dash of peppermint oil. There are other factors that contribute to the strengthening of my strands, which I will get to at another time, but deep conditioning has definitely been a huge factor. Bringing these natural oils into my life has proven beneficial, both physically and financially. Using a combination of Vitamin E and fatty acids, castor oil is able to stimulate hair growth. Because of its thick consistency, it needs to be supplemented with a thinner oil, such as coconut, almond or olive oil. Just make sure it is cold pressed, otherwise it may not provide the same benefits. Coconut oil is great for moisturizing the hair and giving life to weaker strands. Many friends of mine who grew up in Asia tell me how it is typical to incorporate coconut oil in the daily hair care routine, even for kids. Peppermint essential oil also has a moisturizing effect, like the oils mentioned above. When applied directly to the scalp, it promotes hair growth and can also prevent dandruff. These are just a few of the many benefits of these oils. 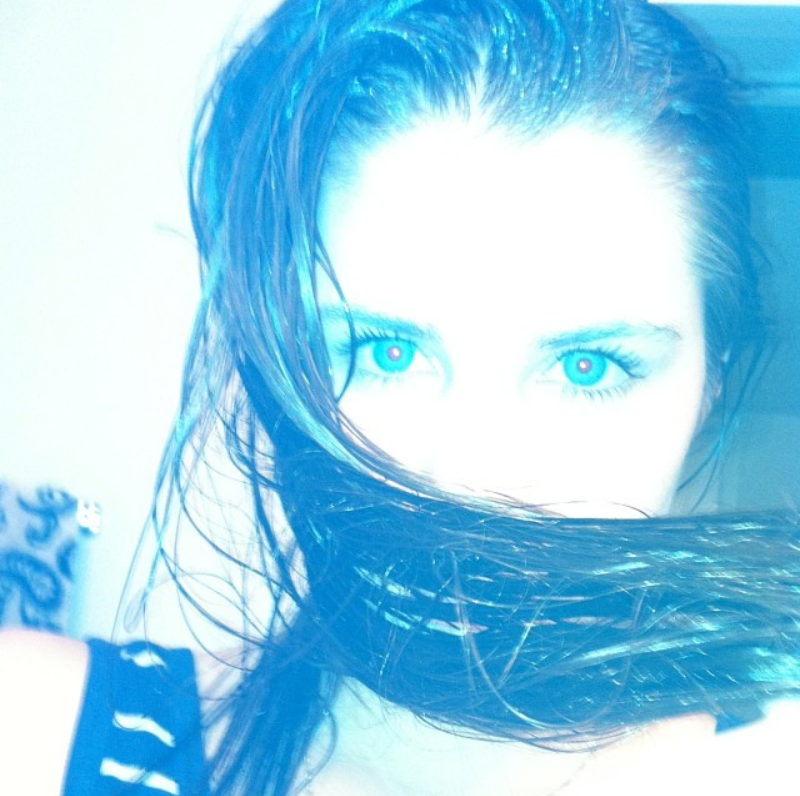 After they are mixed, dampen the hair and start from the scalp, working your way down the shaft. It is important to stimulate the scalp by gently massaging it. Don't forget to saturate the strands! Any leftover oil can be added to the scalp or stored for later use. I recommend wrapping your hair, to prevent the oil from getting all over. Once it's left on for a few hours, gently wash the oil out, which may take time. I've often had to wash it more than once, to ensure my hair doesn't look too oily after the treatment. These oils are usually sold at Whole Foods or any local grocery store. They are all reasonably priced and last me a while!